Permanent life insurance, sometimes referred to as whole life insurance, is a policy guaranteed to remain in force for the insured’s entire lifetime as long as the premiums are paid. While it serves its purpose of helping your beneficiaries when you pass away, it can also help you financially during your lifetime in several ways. The premiums on a whole life insurance policy are usually higher than premiums on term life, but the good news is that whole life premiums are fixed. The premium is based on the age of issue, and they usually do not increase with age. The policyholder either pays premiums until death, or establishes a limited pay policy that can be paid up in 10 to 20 years, or by age 65. The death benefit paid by a whole life insurance policy typically passes on to your beneficiaries income tax-free. When insurance companies experience better-than-expected performance, they sometimes pay whole life insurance policyholders a return of premium. These dividends are never a guarantee, but they can be a nice surprise to increase a policy’s death benefit or cash value! What you receive from the dividends is also not usually considered taxable income, so the reward is 100% yours to keep. The cash value of a whole life insurance policy makes it valuable to you long before death. A whole life insurance policy allows for accumulation of cash value on a tax deferred basis over time. The policyholder can use this cash value to help cover unexpected expenses, debts, or simply go towards retirement income. Unpaid loans and withdrawals will reduce the cash value and the death benefit, but utilizing this option may be worth it if you find yourself in a tight spot financially. Are your beneficiaries protected in the event of your death? If not, it’s time to look into a life insurance policy. 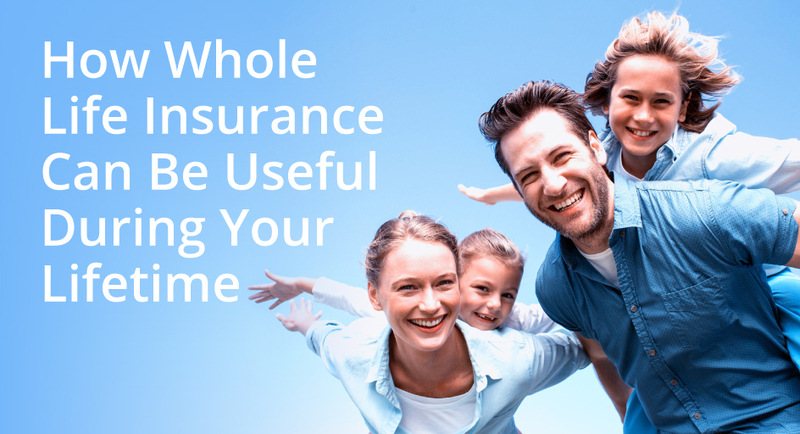 The benefits in this blog accompany a whole life insurance policy, but there are multiple coverage options available depending on your needs. Contact the independent agents at Carnal Roberts Insurance in Lexington, TN to get your questions answered and get on the road to great coverage!